A growing number of Australians are being pushed out of home ownership due to soaring property prices. MORE Australians are renting and many people are under increasing financial strain driven by soaring childcare and utility costs. Despite this, reliance on welfare has fallen and women are becoming more educated, however they remain well behind men in the financial literacy stakes. Men are also lifting their game around the home and doing more housework as women juggle busy jobs and running the family home. The Housing, Income and Labour Dynamics in Australia (HILDA) report, released today, first began delving into the lives of more than 17,000 Australians in 2001 and has continued to monitor this segment of the population since then. 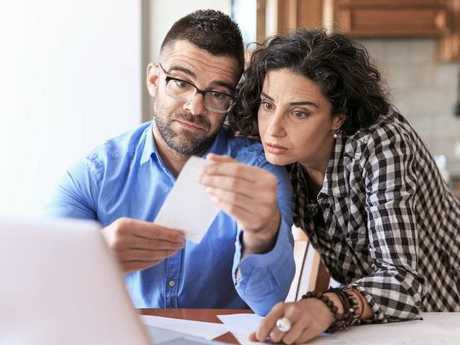 The University of Melbourne study, conducted by the Melbourne Institute of Applied Economic and Social Research, showed rising cost worries has resulted in financial stress being "quite high." The report found median weekly expenditure on childcare has risen in 2002 and 2003 for children not yet at school from $71 for two-parent households to $154 in 2015 and 2016. In the same period for single-parent families this has climbed from $44 to $102. Australians are spending much more of their weekly income on childcare costs. Utility costs are also hitting the hip pocket hard, meaning household spending on power bills climbed from $1727 in 2006-08 to $2118 in the 2015-16. Wages grew strongly from 2001 to 2009 - the mean salary climbed by $2447 per year or $19,573 during this period. But since then wages have experienced a drastic slowdown. Men also have a better understanding of financial literacy than women. In the studies Australians were asked five financial questions and 49.9 per cent of men answered correctly compared to just 35.4 per cent of women. But despite this Australians are becoming increasingly educated - of those aged 25 to 64 with university degrees this climbed for men from 22.6 per cent in 2001 to 31.1 per cent in 2016. For women it rose from 22.6 per cent to 35.7 per cent in the same period. From 2009 to 2016 the mean household income grew by only $2168 or 2.4 per cent. The report also shows the lack of home ownership is very real. More people are being pushed further away from the "Great Australian dream" - in 2016 it found 28 per cent of the population lived in private rental accommodation. This jumped from 23 per cent in 2001. 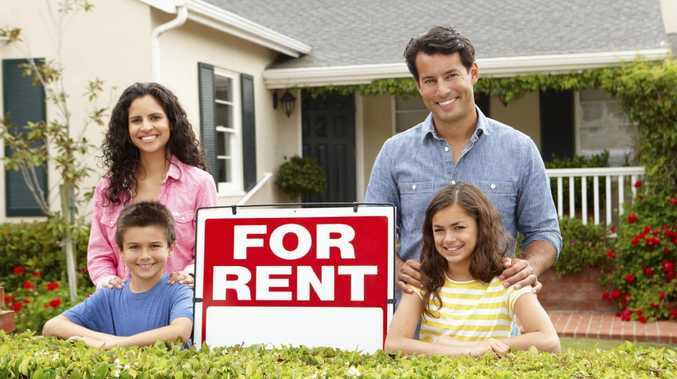 And of those who are most likely to rent they are aged 25 to 34. Financial stress is increasingly hitting Australian households. For households hit by financial stress it seems there's little way out. About 54 per cent of those in financial stress one year are likely to continue to be in financial stress the following year. The most common indicators of financial stress include being unable to pay electricity, gas or phone bills on time or unable to meet rent or mortgage repayments. Some are even resorting to extremes to drum up cash. This includes pawning their items, going without meals, not heating the home or asking for money from family or friends. And single-parent families are among those hardest hit. The report's author Professor Roger Wilkins said the report highlighted more people were enduring financial pressures and unable to buy property. "Real incomes aren't growing but they are not shrinking either,'' he said. "House prices have been the really big one where until very recently they have grown very strongly and this has resulted in the increase in the number of people renting." Housing stress peaked in 2012 at 11.2 per cent but this has since fallen to 9.6 per cent in 2016. Those hardest hit are usually in the capital cities including Sydney, Brisbane and other urban areas of Queensland. On the flip side Australians who are reliant on welfare has fallen. Of 'working age' Australians aged 18 to 64 in 2016, 31.7 per cent of individuals were living in a household that received income support. This has fallen from 2001 at 38 per cent. And men are lifting their game in the housework department - in 2016 they spent 13.3 hours a week on chores up from 12.4 hours in 2002.